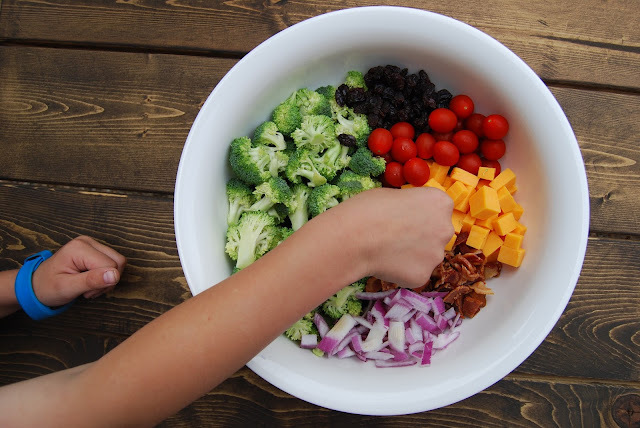 Today I'm sharing a super simple but DELICIOUS broccoli salad recipe. This turned out super pretty and would be great for a bbq, as a salad for a shower you're hosting, or as a dish for a potluck. Cut the broccoli into bite size pieces, rinse and let it drain. Chop the bacon, onion and cheese. I chose not to slice my tomatoes since they were small. 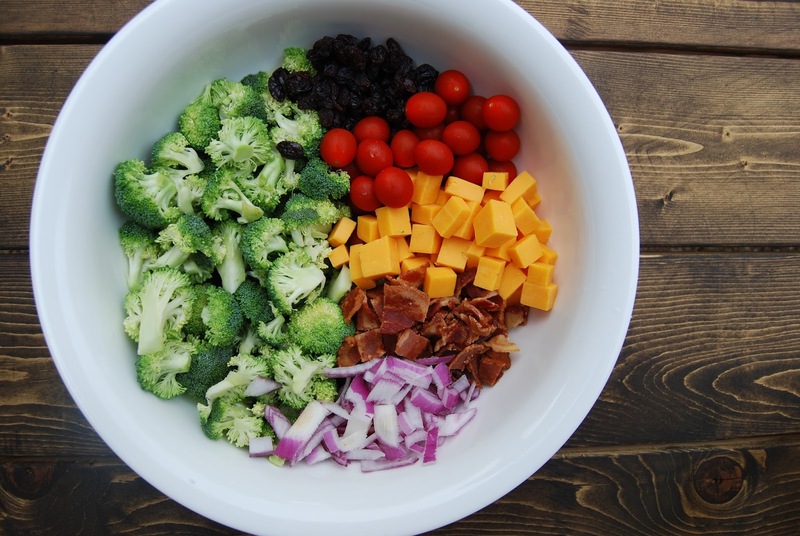 Combine the broccoli, onion, bacon, cheese, tomatoes and raisins in a large bowl. 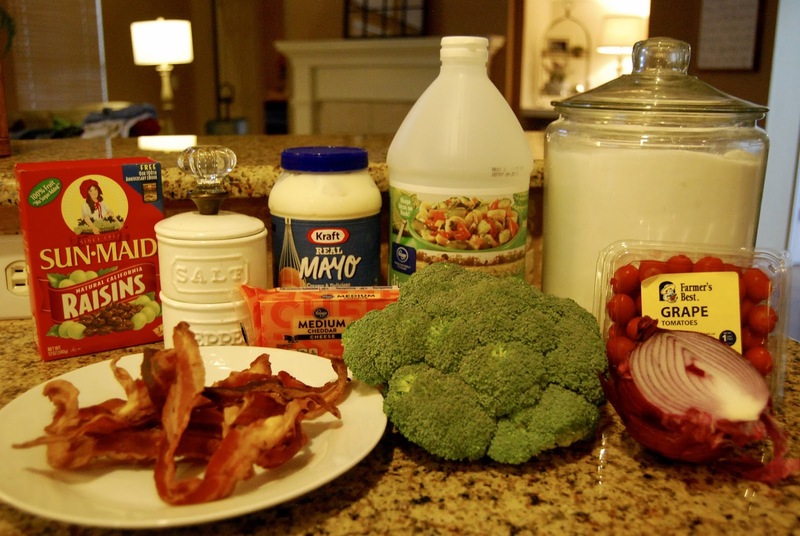 Combine the mayo, sugar and vinegar. Pour the dressing over the salad. I used a little more than half of the dressing.... it may just be me, but I feel like that was plenty! This sounds weird... but don't be afraid! Sidenote - I was assembling this outside because it was about to rain and the light in my kitchen was AWFUL! Voila! Done! Easy and yummy and COLORFUL! I served this as a side to burgers and it was delicious! I'm not a fan of cooked broccoli and plain raw broccoli isn't necessarily my jam.... but I LOVE a good broccoli salad! I think the raisins are what makes this one extra yum and kind of surprising. That looks so yummy! Would be perfect to munch on for lunch this summer! Make a bowl early in the week! Thank you for sharing! This looks so delicious and so easy! Will have to try! I love me a broccoli salad!! I've never had this with cheese and tomatoes! Looks good! 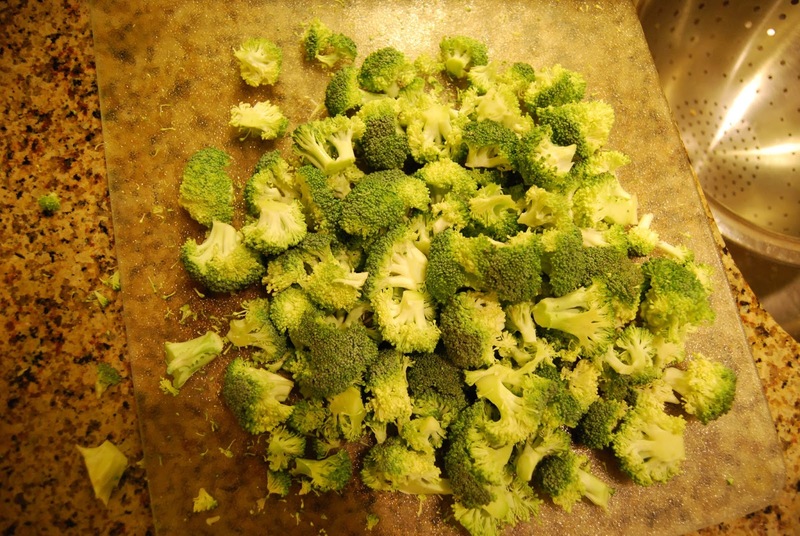 Mmmmmmmmmm I love broccoli!! Thanks for sharing this! Thanks for sharing this! A friend of mine makes something similar and I always forget to ask for the recipe. Plus, hers doesnt include cheese, so... this is a big win! What a pretty, perfect summer salad! I have never seen it with cheese cubes before - My mother-in-law always adds shredded to hers, but this looks good, too! Yum! I love this salad (and my husband especially loves it) but I always forget about making it. Thanks for the reminder! Oh my heart, this looks amazing! Thanks for sharing! Ooooh I make this sometimes and it's one of our favorites! Mine doesn't have tomatoes or cheese, but EVERYTHING is better with cheese, right?! I need to add that to my next one! This is my FAVORITE salad!! The sweet dressing is so good! !